This has been a long coherent journey for the artist. The antecedents of this current body of work can be found in the early 1990s Berlin paintings. The large diptychs with vertical linear inscriptions, and pulsating blues and reds, were forerunners of the systematic structures found in the ogham paintings which followed (see Irish Art Review Autumn 2005). The remarkable ‘knots’ series with interweaving linear marks culminating in knots or shamrock shapes and reminiscent of Cy Twombly and other late lyrical abstractionists. 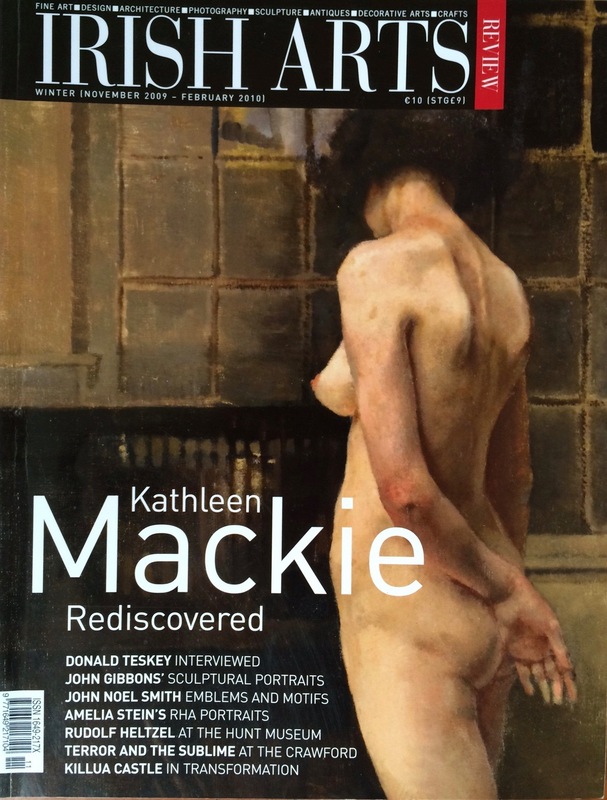 Irish Arts Review, Vol.26, issue 4. Winter 2009.